Your private tour will start from your Hotel and we will drive to Mrs Smiths a local cafe in the heart of Riwaka with the best coffee and yummy cakes for morning tea. 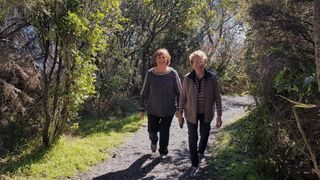 We will then make our way to Hawkes Lookout for a short walk with stunning views across the Motueka and Riwaka Valleys. Your private tour then takes you through the valley with panoramic views for a 20 min walk to a viewing platform through a series of limestone blocks, some sculpted into wonderful shapes by water. The tentacle-like roots of northern Rata trees that hang down many of the blocks create an eerie atmosphere. Nikau palms are also a feature of the reserve. Your next stop will be an Art Cafe for lunch before making our way out to Waunui Falls which also has a stunning bush walk to get there with Giant Nikau Palms. After this it will be a return trip to Nelson via a tasting trail of your choice.